The study specifically looks at two core areas – the mental health and wellbeing of individuals working in our industry, and their attitudes towards mental health. The collaboration is an adaptation of research that Everymind, a leading national Institute dedicated to reducing mental ill-health and suicide, has been conducting into small businesses across the country. The study has been adapted to the media, marketing and creative industry in order create a comparison between the two data sets and analyse differences and similarities between the mental health of the industry, and the population and businesses in general. The survey has been launched this week and will be in field during August and September with results reported by the end of the year. 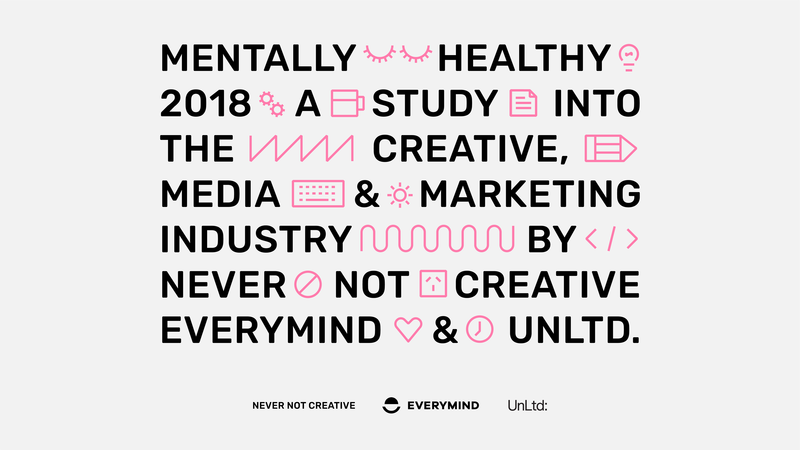 Everyone working in media, marketing and creative industry is encouraged to complete the survey here as we take the first step in benchmarking and improving mental health and wellbeing in our industry.